Underground: "The Macon 7" Review 0 out of 5 based on 0 ratings. 0 user reviews. WGN America launches a promising new series, even if the pilot isn’t perfect. The premise of WGN America’s new drama, Underground, is simple: seven slaves at a plantation in Georgia are ready to break out and make the 600-mile run for freedom in the North — a journey inevitably fraught with peril. Underground stands out in the execution of this story, but the series doesn’t always deliver on its promise in the pilot episode. Coming from Misha Green (Sons of Anarchy, Helix) and Joe Pokaski (Heroes), Underground isn’t afraid to embrace the modern age. The opening scene is set to thumping beats of Kanye West’s “Black Skinhead,” and the show consistently uses popular rap and hip hop to underline the struggles that this show’s character’s faced two centuries ago. It’s an interesting concept — only helped by the fact John Legend is an executive producer on the project — and it works more often than it doesn’t. Underground follows Aldis Hodge’s Noah, a slave who believes he’s found the key to freedom and is assembling a group of slaves to help him in his escape attempt. 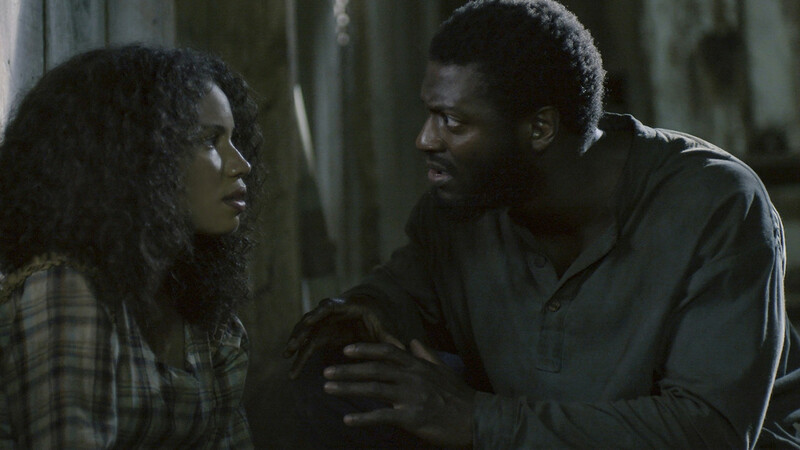 Among them is Jurnee Smollett-Bell’s Rosalee, a house slave who works at the plantation and who endures some of the most harrowing scenes of the pilot. Going along with the modernization of this familiar type of story, Green and Pokaski have given the escape attempt the feel of a heist; a scene where Noah is highlighting his partners in crime feels like when George Clooney was assembling his team in Ocean’s Eleven. 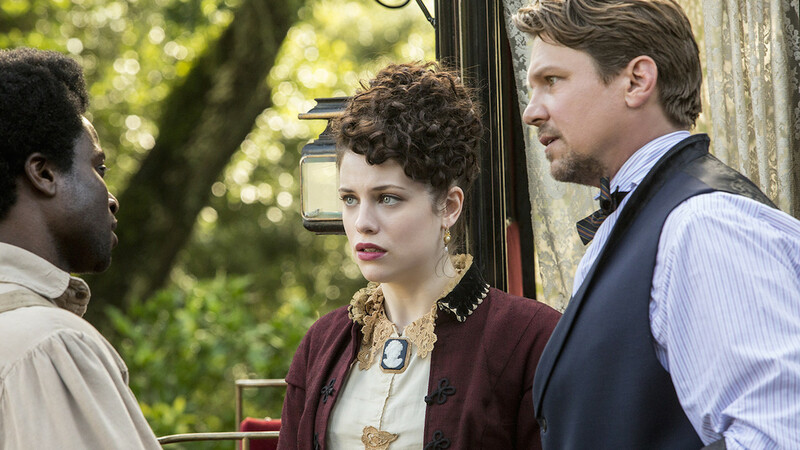 Marc Blucas plays John Hawkes, a supporter of slave rights who is married to Jessica De Geow’s Elizabeth. Their story is introduced through their family troubles, but by the end of the episode it’s clear their potential as allies to the slaves who want to escape. On the other end of the spectrum is Reed Diamond’s Tom Macon, the owner of the plantation, and Andrea Frankle as his truly despicable wife Suzanna. There’s a lot of promise in Underground, especially as the straight-to-series order of 10 episodes means that the central characters will escape sooner rather than later. The biggest issue is that the show looks cheap, and it’s hard to buy that the world of Underground is more than a set, and the outfits are more than costumes. The actors still seem to be settling into their roles in the pilot, and no one beyond Hodge is a standout. De Gouw and Smollett-Bell do as much as they can with the screentime they’re provided in the first episode and they’ll likely grow into their characters, but others like Blucas and Christopher Meloni, who plays enigma August Pullman, fail to impress. There’s a lot of potential in Underground, but much of it isn’t fully realized in the first episode. The heist-like structure of the story is an interesting twist on a slave escape story that feels fresh and urgent. The acting isn’t impressive and costuming and set design don’t sell the story, but if future episodes improve upon what works in the first episode then Underground might become pretty great.